The original, uniquely designed, "Dinky Link" axle truss, made specifically for High Lift axles. Cleans up the axle profile , while helping to improve handling and clearance issues. Mig-welded for strength. Clean and simple, 4-bolt installation. Allows for deeper drop beds, custom body, extra interior room, etc. 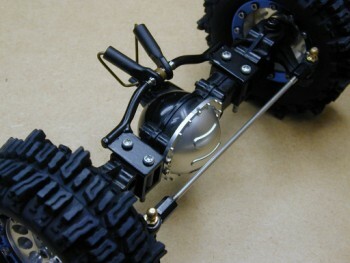 Installation requires slight modification of stock axle case.